Performance Coaches: I believe in the power of coaching! We use performance coaches instead of Managing Brokers. Our coaches are responsible for helping improve our team members both professionally and personally. All of the coaches are eager to guide, educate, and be an available support system. I had the pleasure of interviewing Joshua Lybolt. Joshua Lybolt is a serial entrepreneur, life hacker, and inspirational speaker focused on personal growth. When he’s not busy running one of the multi-million dollar real estate companies that he has founded called Lifstyl Real Estate, he studies, writes, and creates disruptive business and financing opportunities. His ultimate purpose on earth is to improve the quality of life of everyone around him to inspire a better world. 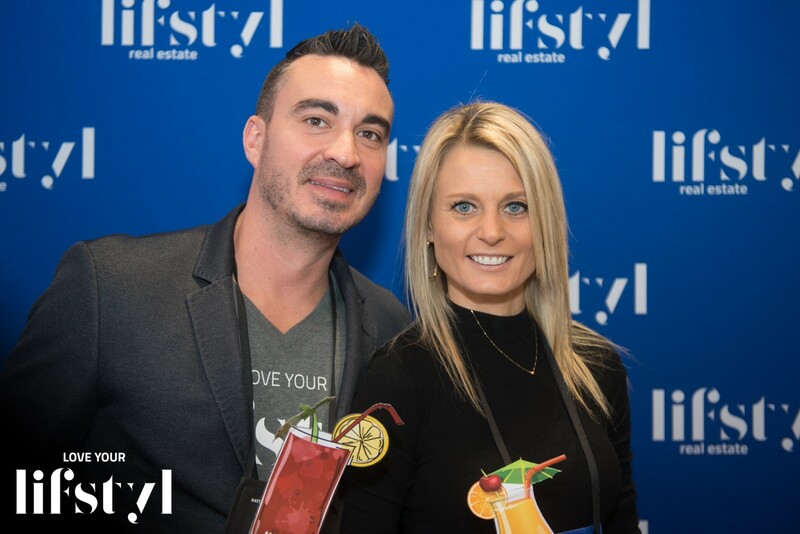 I started Lifstyl Real Estate with my wife Magdalena. We started in the real estate industry flipping houses together and soon Magdalena, became an adviser and consultant to fellow investors on bigger investments and developments. As she worked with many real estate companies, we noticed they were all the same. The companies treated agents like a paycheck and did not provide adequate training and support. Lifstyl Real Estate was created to solve these problems. Our company is a personal growth driven cloud-based brokerage. We are focused on supporting real estate agents with the industry’s leading technologies and an in-house marketing agency, so agents can focus on increasing sales, providing better service to their clients and living the lifestyle of their dreams. When we started the business, the banking industry was different, and we were able to buy “NINJA loans” which were extended to a borrower with “no income, no job and no assets.” We bought many properties with no money down. We would buy a house and even get paid at closing, walking away with a check in hand from the title company. One time we bought a home entirely with a credit card and then sold the home without touching it before the credit card bill arrived. When I started I had the preconceived notion, “If you build it, they will come.” I overbuilt our new office, and added an 1100 gallon pond from scratch inside the office with freshwater Koi fish. We learned Koi fish are dirty, and I had to clean the pond once a month. This was an extremely cumbersome process and involved removing half the water, and replacing it, along with running hoses throughout the office on a monthly basis! First of all, communication is key. It is important to have open communication and regular meetings to effectively work together. I also believe in having all employees take the DISC profile to learn their behavioral and personality traits. Each person has their own set of strengths and weaknesses, and it is important to learn of these traits to best work together. One of the top challenges when managing teams in different locations is that you could have a great vision with specific ideas and plans, but it is hard for those teams to implement those ideas on their own on a daily basis. I believe in the importance of training and culture. We provide extensive training, and are proud to bring top-notch industry training talent for seminars and programs to our agents attend. I also value our company’s culture. From the design of our office space to our social programs, we want to provide a positive and engaging work environment. I think retaining talent is important. As the leader of the company, it is important to make time to connect with my employees. As I grow our company, I travel often. I record inspirational “Love Your Lifstyl” videos that get sent out to our real estate agents at the start of every week. I make myself available to all employees and interact with them on social media. I get to know them personally and take an interest in their life beyond the office. My company also has performance coaches. Since I can’t always be there for each individual as we are growing, our coaches are a direct extension of me. They are available to support, encourage, and provide guidance to our agents on a daily basis. 1. Identify their “WHY”: I want to learn WHY our employees do WHAT they do. What brought them to our company? My purpose to improve the quality of life of those around me, and by learning their WHY, I can help them live their best life. 2. Training: It is extremely important to make sure our employees are well-trained and they receive ongoing education to keep-up with new industry developments. 3. Personality Profiles: I believe in having all employees take the DISC profile to learn their behavioral and personality traits. This allows me to manage more effectively by understanding the dispositions and priorities of employees. 4. Performance Coaches: I believe in the power of coaching! We use performance coaches instead of Managing Brokers. Our coaches are responsible for helping improve our team members both professionally and personally. All of the coaches are eager to guide, educate, and be an available support system. 5. Delegate: As an entrepreneur, you wear 17 different hats when starting a business. You are the CEO, accountant, attorney, secretary, janitor, and everything else. Eventually, you grow and then should delegate some of these tasks to other team members. My purpose on earth is to improve the quality of life of everyone around me to inspire a better world. I want to inspire more people to life their best life. I want to reach others, whether through personal growth, real estate, or other hobbies I have, and then be able make a connection and impact other’s lives in a positive way.